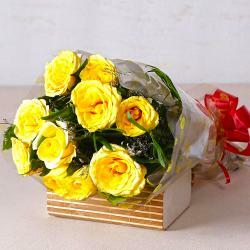 Product Consists: Bouquet of 10 Gerberas in Yellow and Orange Color with lots of green fillers. 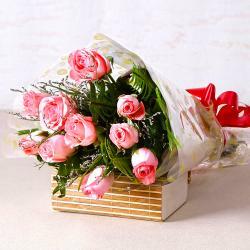 Any recipient will cherish these charming and supremely elegant gerberas which have been neatly packed in cellophane as well. 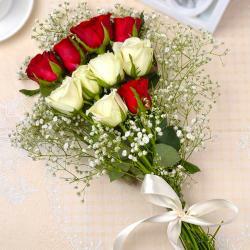 The matching ribbon bow on top only adds to the aesthetic appeal of this beautiful bunch. These bright color gerberas Promise to be really soothing and heartwarming gifts for a variety of occasions. You should definitely consider the same for all your festive gifting needs. 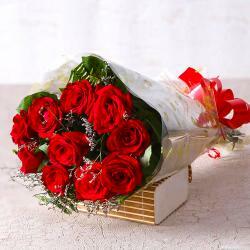 These ten gerberas promise to be marvelous acquisitions when it comes to gifting solutions for special occasions like Birthday, Anniversary, Baisakhi, Dhanteras, Womens Day, Diwali and many more. 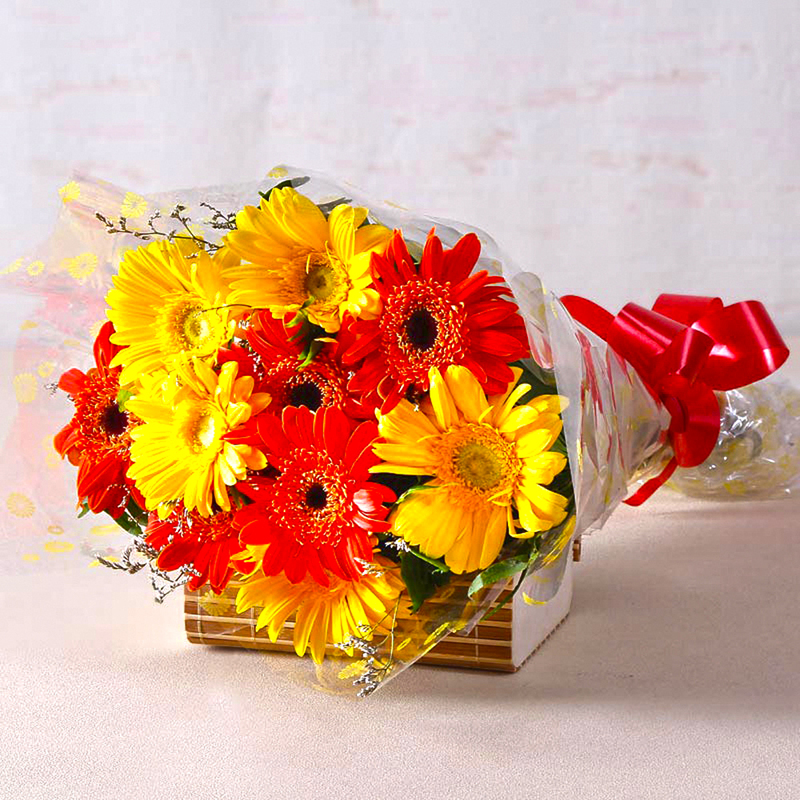 Product contains : Bouquet of 10 Gerberas in Yellow and Orange Color with lots of green fillers.